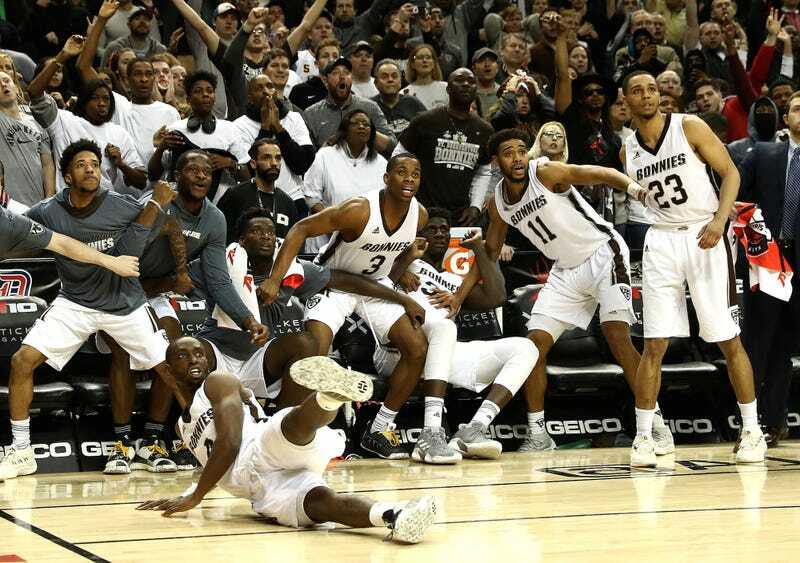 St. Bonaventure’s Nelson Kaputo, along with his teammates and the Bonnies fans, watch as his last-ditch three-point shot, his only attempt of the game, travels toward the hoop. Part of me doesn’t want to give away whether it went in or not, because the facial expressions are so good and ambiguous. Okay, fine, it didn’t. The Saint Louis Billikens escaped with the 55-53 win and A-10 title.